Our main training venue is located at 56 Loch Street, Maryborough VIC 3465. Or we can come to your site* and train your staff on your machines. Please contact us for further details on 1300 368 024 (*Conditions apply). Who is All Skills Services? 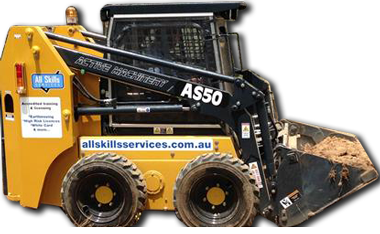 All Skills Services Pty Ltd is an accredited Registered Training Organisation (RTO No: 21934) and a provider of industry competency training & assessment services including earthmoving machinery, High Risk Licences, Chainsaw, First Aid & Occupational Health and Safety courses e.g. Construction Induction (White Card). 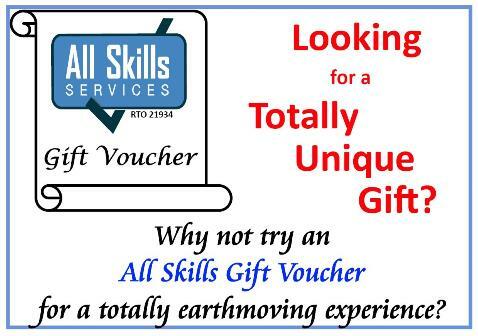 All Skills Services delivers quality training Victoria wide, to a range of clients, both in city and country areas. This training can be undertaken at our training facility in Maryborough, VIC using our machines/equipment or on your site using your machines/equipment. • Competency courses (We also provide "site specific" proof of training "competency" under the NOHSC system. These are not nationally accredited assessments but do cover employers (PBCU) under Section 21 of the Victorian OHS Act 2004). These are not recognised all over Australia. • Verification of Competency (VOC) (for those operators that hold previous or current 'tickets' that require verification of their skills & competence, or for employers that require verifications of their employees or potential employees' skills & competence). • Customised courses tailored to your workplace policies & procedures & requirements (We can customise the training to your workplace procedures & requirements. Site specific, task specific. Although these are not national 'tickets', they cover employers (PBCU) under Section 21 of the Victorian OHS Act 2004). • Supervisors/Managers Machinery courses (for those that do not require a full competency but need an understanding of how their staff should be operating machinery under their supervision, safely & competently). Confused about the USI? Not sure how to apply? Don't have access to a computer? DO NOT STRESS! The team at All Skills Services are happy to apply for your USI on your behalf. Just ask us when you enrol in one of our nationally accredited courses. Discount available to transitioning & ex-Defence Force personnel. We accept payments by cash, EFTPOS, Visa, Mastercard & Direct Deposit.